The refurbishment of the Tony Hill Dental surgery reflects a stylish and welcoming dental surgery, with use of bold colour and contemporary design. The linear forms, intersections and retro colours influence the way the new spaces are divided, planes are dissected and lighting is articulated. Its positioning allows penetration of natural light into the fit out and contributes to the perception of spatial generosity of the public areas. 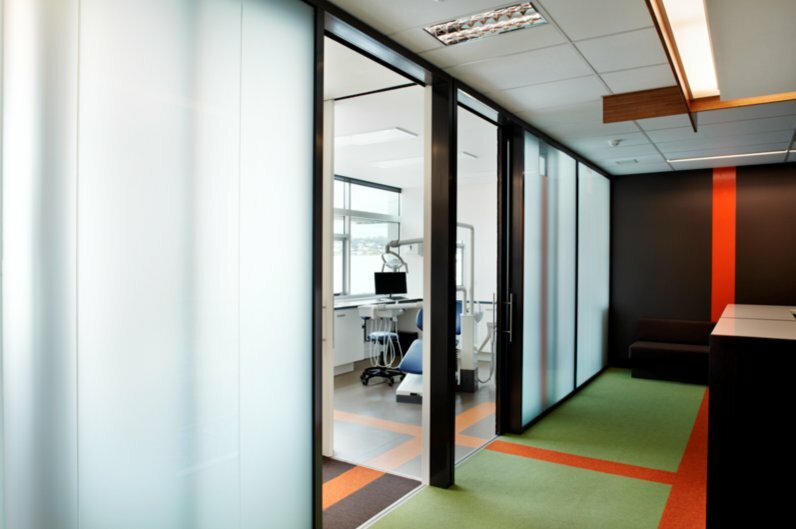 A central circulation spine bordered by a translucent glazed wall provides demarcation between front of house and the consulting practice and surgeries. This heritage building was once the Post-War International office tower, located in central Hobart. Photos are courtesy of Peter Whyte.